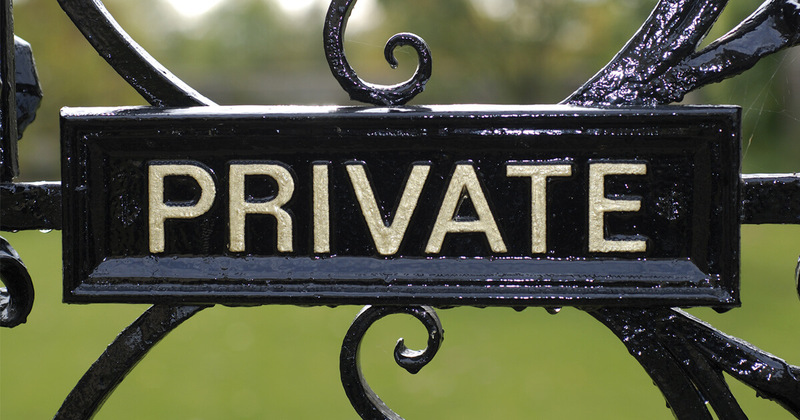 When it comes to engaging with your customers or other constituents, many observers deem private or “branded” communities as superior to public ones like Facebook, LinkedIn, or Twitter, for one simple reason: A private community is purposely not open to the public. A company invites only the people it wants as participants: customers only, customers and distributors, third-party subject matter experts (SMEs), or some other mix. This keeps out competitors and troublemakers. You own the data, which you can mine and exploit to ensure your private community remains healthy. The URL is based on your domain, which means it isn’t blocked in places like China, or in some workplaces. You can more easily control the community’s content and discussion as well. For the past 10 years, my colleagues and I have designed, built, and monitored successful private, branded B2B, B2C and B2B2C communities for companies such as ExxonMobil, Kraft Heinz, AAA, and others. A critical component of our methodology is to measure each community’s quarterly return on investment. The most striking takeaway from this measurement is the large amount of new sales that private communities generate. Private communities can break even financially in less than two years while building strong customer engagement, loyalty, and advocacy along the way. Given that successful private communities generate meaningful new sales, can they also become a company’s best lead-nurturing platform? I reviewed our years of hands-on experience and also conducted independent industry research. My conclusion: There is no better way to nurture a lead than from within a private community. Here are five reasons why. 1. Private communities can help you understand the needs of each lead. Nurturing leads requires careful attention to their specific needs. What are the criteria leads will use to select their vendor? Where are leads in their buying cycle? What will move leads to the next step in the sales process? Knowing these things helps you decide which activities will better qualify them and help move them down the sales funnel. A private community’s registration questionnaire, which is mandatory for a lead to become a member, is the perfect place to start gathering this information. 2. Leads want to receive independent and expert opinions. In today’s world, rightly or wrongly, buyers often trust the word of other buyers over that of a company. So leads will likely wish to seek independent confirmation that your products and services perform well. This is one of the strengths of a private community: The lead can ask questions of community members—domestic and/or international—and receive back a range of objective responses. Many leads may also want to hear from company SMEs. An Ask the Expert section of a private community is the ideal place for users to connect with company experts. 3. Communities enable lead-nurturing through customized e-newsletters. E-newsletters can be customized and sent to each lead based on the community groups they belong to, the threads they subscribe to, etc. The goal of these e-newsletters is to entice leads to return to the community to further engage with community members, and ultimately to move them down the sales pipeline. Properly done, triggers can be sequenced to help move the lead to each successive step in the sales pipeline. 5. Communities can be easily (and tightly) integrated with your website. A successful branded community is tightly integrated with the company’s website. When a lead visits the website, the lead can be quickly scored and, if appropriate, invited to join the community. Similarly, a lead should be able to access the company website from within the community to look up product specs, find a local dealer, etc. Today’s website and private community measurement tools allow a company to determine each lead’s place in their customer journey and then put together a nurturing program that sends appropriate triggers from both the community and website to move the lead down the sales pipeline. So if you are not yet using private, branded social media communities to drive your lead-nurturing process, you now have a handful of reasons to consider doing so. Perhaps you’ll find it’s time to implement this truly remarkable option. Barton Goldenberg (bgoldenberg@ismguide.com) is president of ISM Inc (www.ismguide.com). Since 1985, ISM has established itself as a premier strategic adviser to organizations planning or implementing customer-centric strategies to address digital transformation, CRM, social media communities, customer engagement, data analytics, and emerging technology initiatives. He is a frequent keynote speaker (www.bartongoldenberg.com) and is author of four books including his latest—The Definitive Guide to Social CRM. He is currently completing his new book, titled Engaged Customer Strategy: Your Roadmap to Success in 2030.